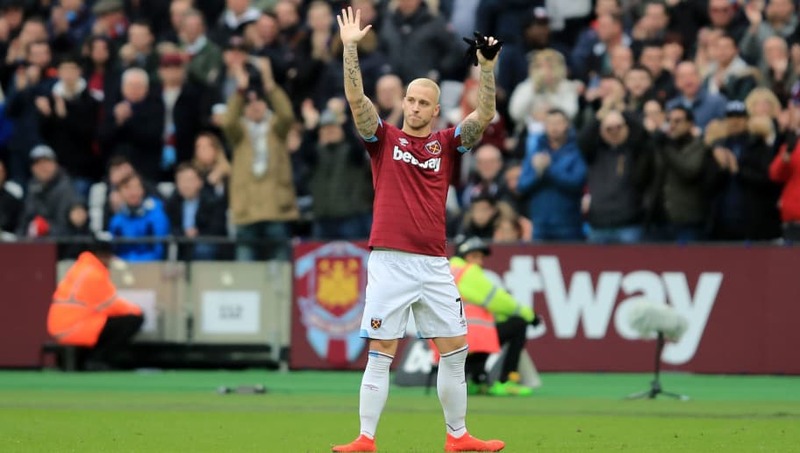 Guangzhou Evergrande are reportedly in talks with West Ham over signing Marko Arnautovic, and have made an offer in the region of €40m for the forward. The Austrian international has been linked with a move away from the London Stadium this month, and had earlier attracted interest from Shanghai SIPG. Now, ​Sky Sports News report that Shanghai's Chinese Super League rivals Guangzhou have entered the race to sign the 29-year-old in the January transfer window. Journalist Jacob Steinberg added that the Chinese side had made a new €40m offer for ​Arnautovic, with reports from earlier on Friday claiming that the Hammers would be open to letting the striker leave if their valuation was met. The Daily Telegraph reported that provided Manuel Pellegrini's side could find a replacement, they would not stand in the way of Arnautovic leaving. The report added that the Hammers boss had decided to leave the former Stoke City star out of the matchday squad to face Bournemouth on Saturday, with suggestions that Pellegrini had felt Arnautovic was not in the right frame of mind to be included. After receiving an offer from Shanghai last week, Arnautovic's brother and agent publicly revealed that the Austrian wanted the move to go through and that it was 'his great desire that ​West Ham accept the offer from China'. Since signing from Stoke in 2017, Arnautovic has scored 19 times in 53 appearances across all competitions for the Hammers, but is now increasingly on the verge of sealing a move to China.